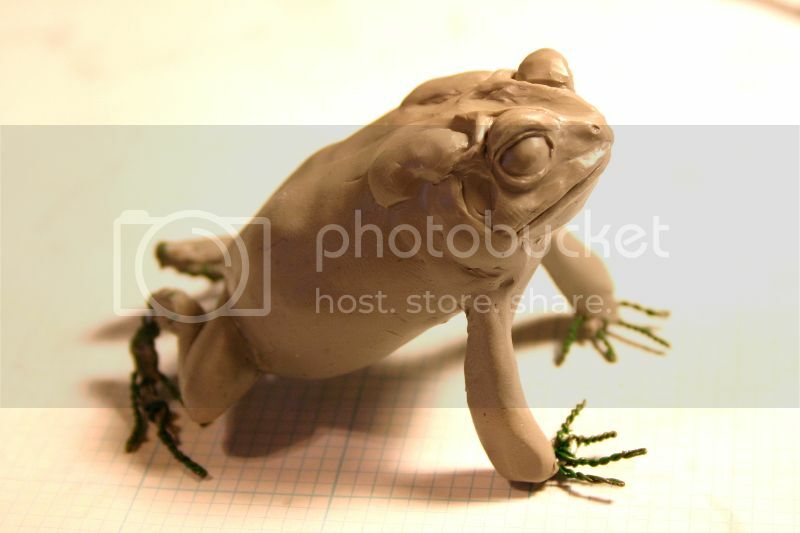 I have started a life-sized sculpture of an American Toad (Anaxyrus americanus) in polymer clay. I will post pictures of the progress here. Any comments, criticism, and questions are welcome! 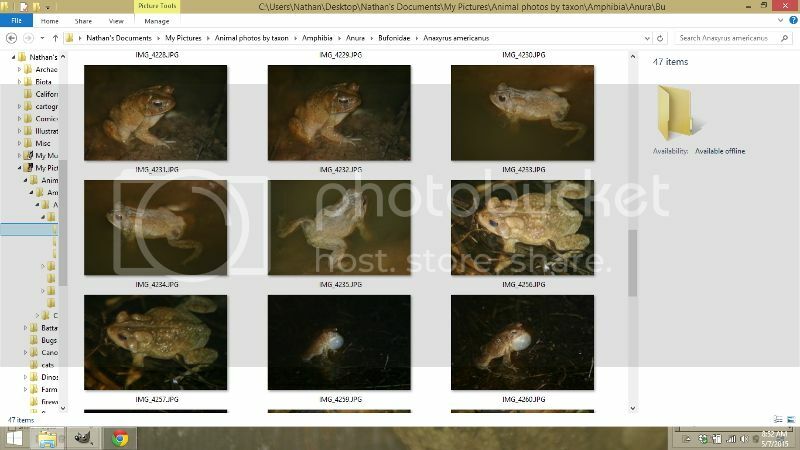 Fortunately the animal I chose for my subject is abundant and easy to find in my area, and so I am able to use my own reference photos. I even located a live model in my yard, just after I started the sculpture! 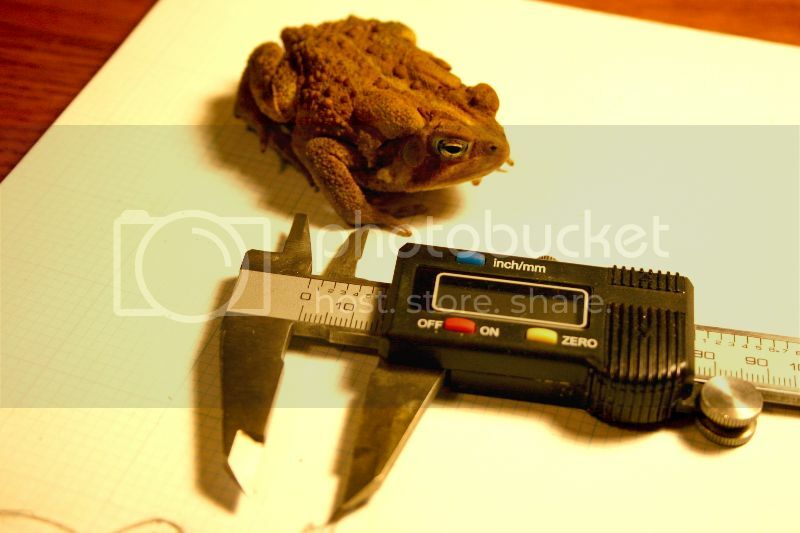 Using information from the photos and live model, I sketch out the toad at the size I want the sculpture to be. In this case, it will be 60 mm snout-to-vent, which is pretty average for this species. 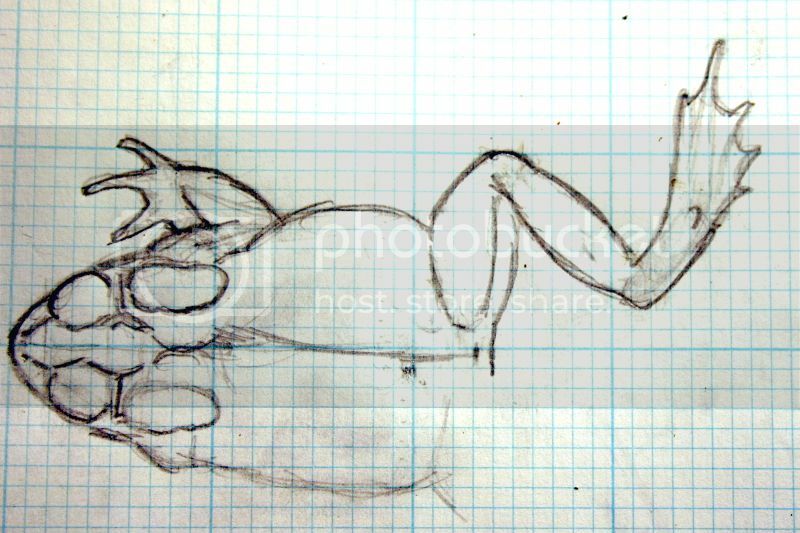 The important thing here is to get the proportions of the body and limbs correct; I don't need to worry about details or pose yet. 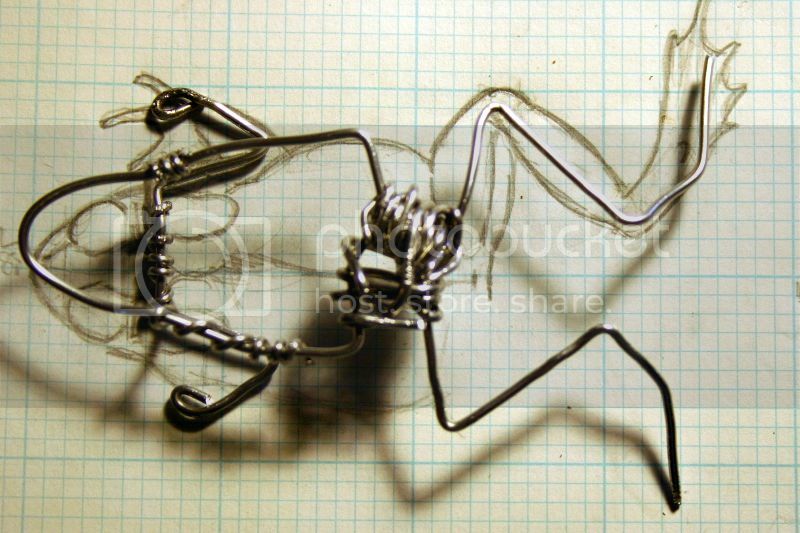 I begin forming an armature from wire, using my sketch as a guide. The armature allows me to play with poses before adding the clay, and also supports the clay; in short, it acts like a skeleton for the sculpture. The basic forms are complete here; I still need to add finer wire for the toes and bulk out the thicker areas with aluminum foil. Nice start, I hope that youhave luck with it . Thanks! I will work on it tonight, and post more photos tomorrow. This looks very promising, Newt, I can't wait to see the further progress! Thanks, Brontodocus! Here's a little update. 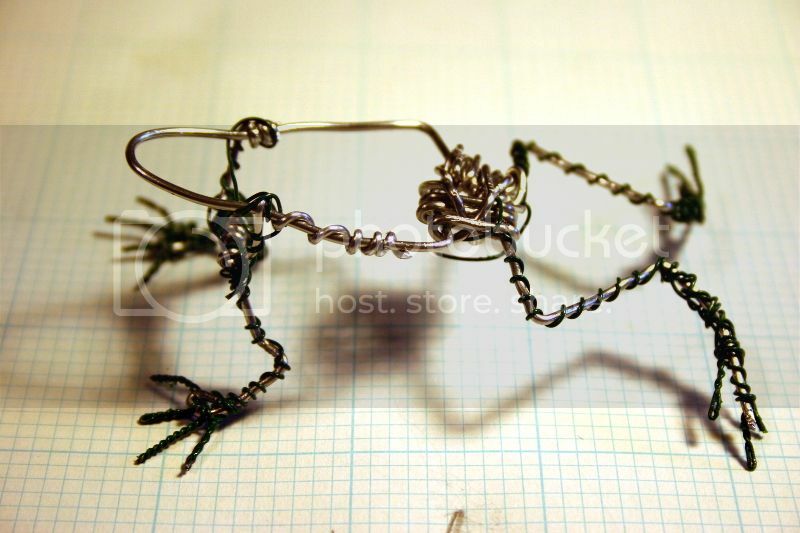 I add armatures for the toes using florist's wire. I usually use fine copper or aluminum wire for this, but I couldn't find any; the florist's wire works OK except the green coating shreds off. I'll have to clean it up before adding clay. I also wrapped wire around the limbs; this will help keep the clay in place as I add it. I set the basic pose by bending the wires into place. 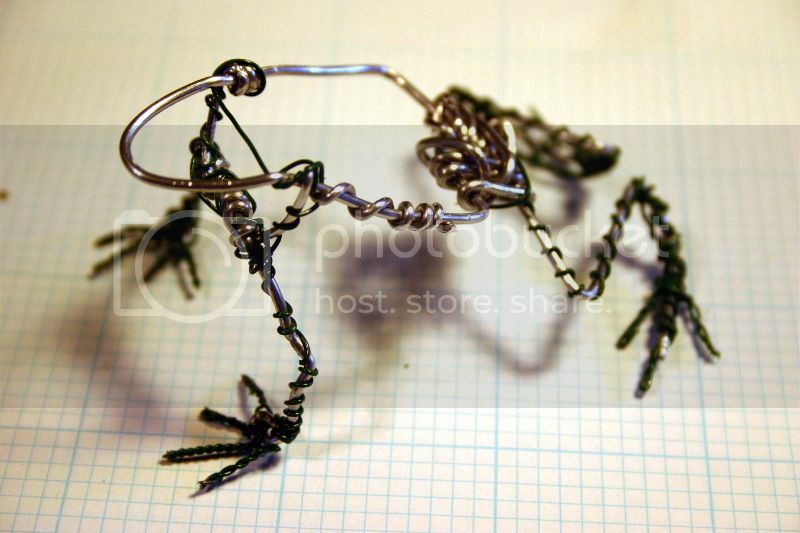 The armature is easy to manipulate at this stage. Later, it will still be possible to tweak the pose, but major changes will be more difficult. 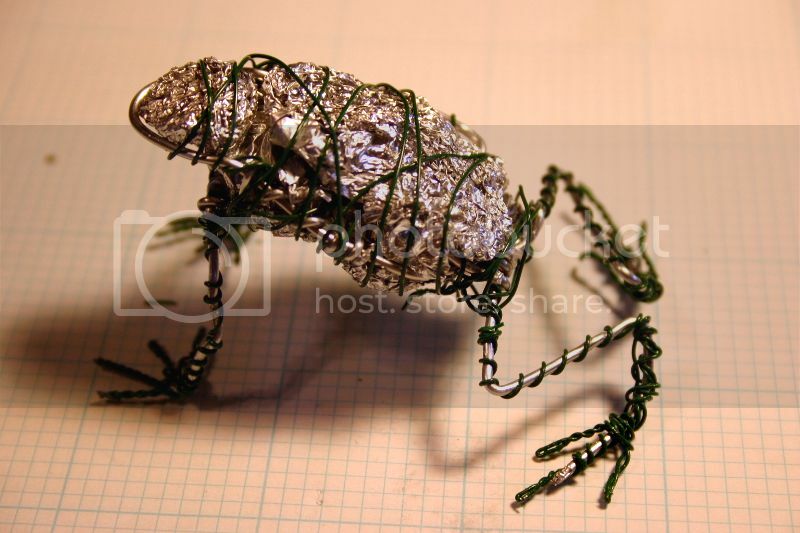 Now I bulk out the body with crumpled up aluminum foil, and use more florist's wire to bind it to the armature. This allows me to use less clay, which is important for a few reasons. 1) Polymer clay is a lot more expensive than foil, so it saves money! 2) Polymer clay is heavier than foil, so it saves weight! 3) Polymer clay doesn't bake well in thick sections. I would otherwise have to build up the body a little at a time, baking repeatedly until final size is reached; so it saves time! Great! It's interesting to see that the wire that carries the arms is actually built up like the pectoral girdle of the real animal. I begin adding clay. In this case, I'm using Super Sculpey Firm. 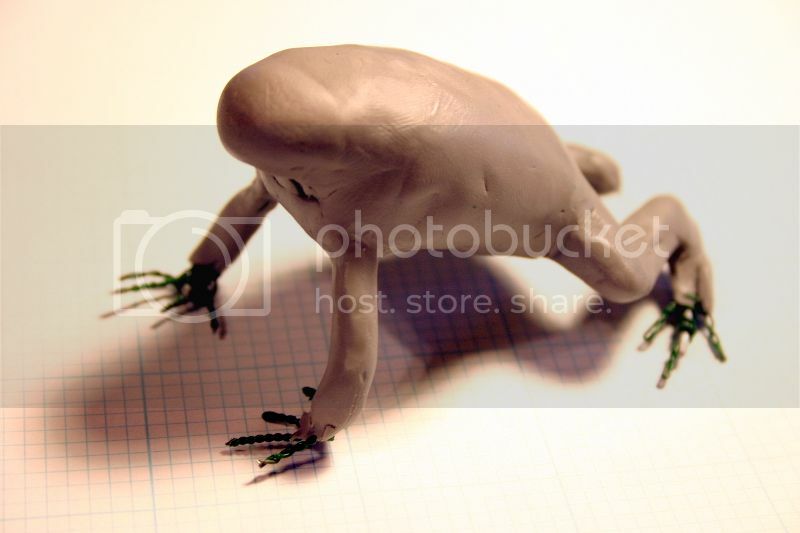 I knead small bits of clay with my fingers and mash them firmly onto the armature. Now I begin developing the major forms. I lay in certain landmarks, such as the cranial crests and sacral hump, that let me locate other anatomical forms. You'll notice I left the feet alone; there's no way for me to work on them now without continually deforming them. I'll work on the head and upper torso until those parts reach a point where the sculpture can be cured. Once it's cured, I can work on the limbs and belly. Polymer clay is not harmed by repeated bakings. The toad is coming on great, well done. I am very impressed with your skill in modelling, keep up the good work.